Do you love getting Disney goodies in the mail? 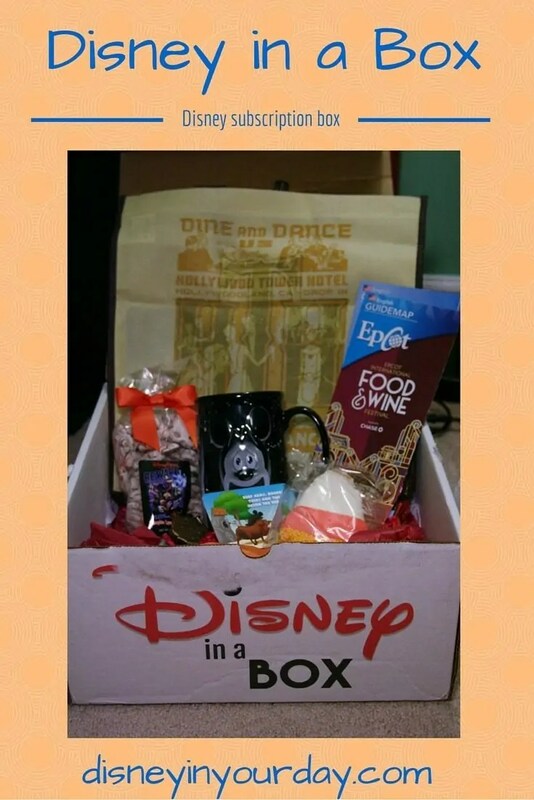 I’m excited to bring you another Disney subscription box – this one called Disney in a Box! All of the items in this box are parks merchandise, and you can choose to get a one time box or a monthly subscription. The monthly box includes 2-4 souvenir items and 2-4 snacks (depending on the value of the items) and costs $59 per month, including shipping. I received the October box and was very excited to see it on my doorstep! The box itself is cute, and also has the quote “When you wish upon a star” on top of it. I was also excited to see that the box went for a theme, rather than being random Disney stuff thrown together. It was clearly a Halloween theme for October, as the goodies included a lot of Tower of Terror merchandise and Halloween treats. The first item I saw in the box was a small tote bag. 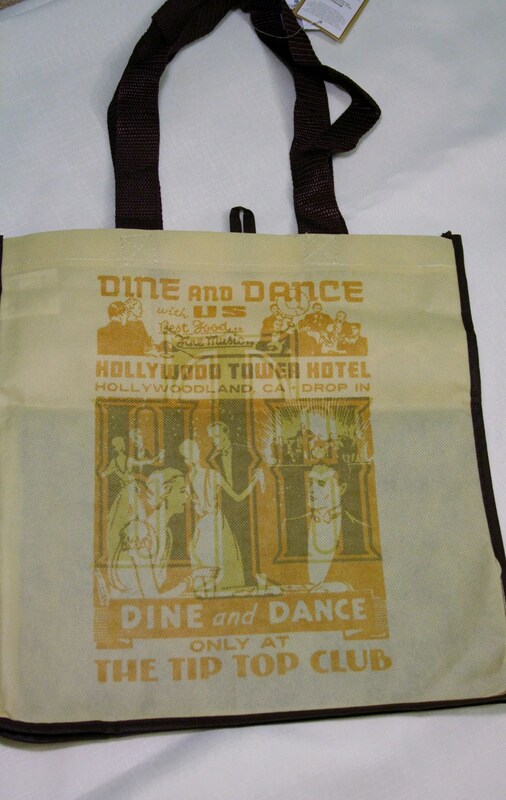 It has an “ad” for the Hollywood Tower Hotel on it in a really cool retro style. I hadn’t seen this before but I really like the style of it! The next item was a key chain that looks like the key to the Hollywood Tower Hotel. Again, very cool and I really enjoy these items that make you feel like you’re “part of” the story. 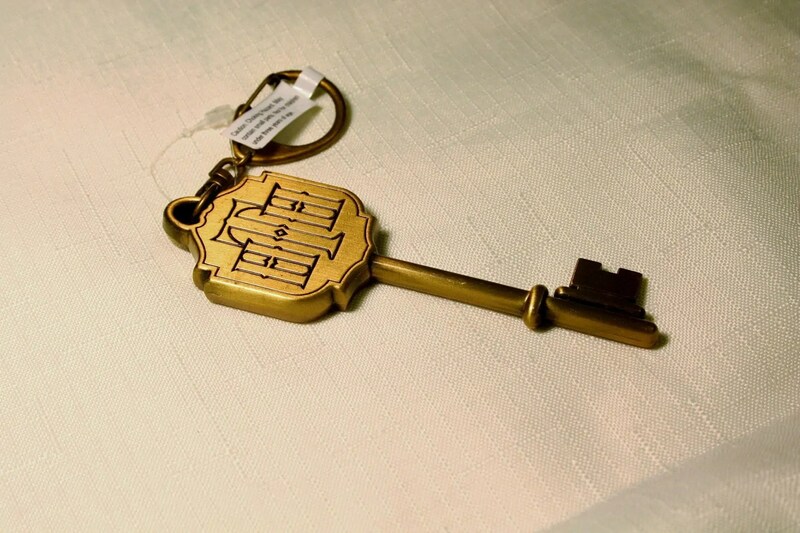 This feels like a key to the hotel, rather than, say, just a keychain with a picture of the actual Tower of Terror building. 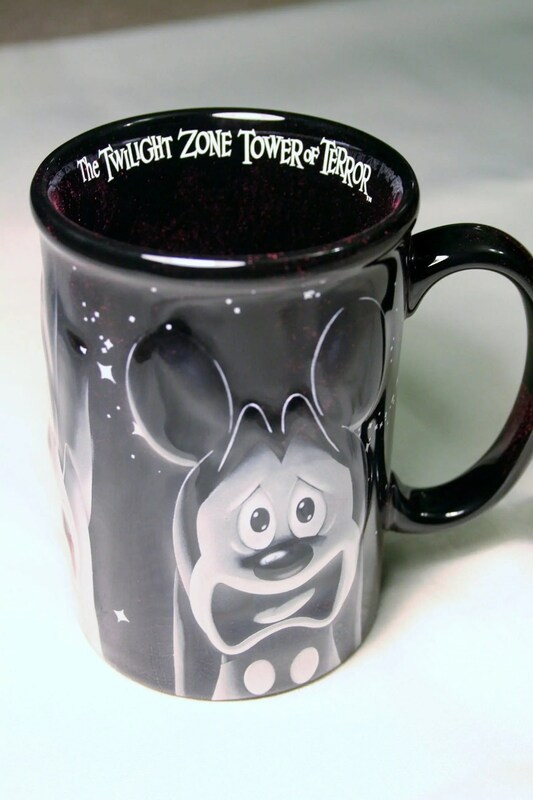 The final souvenir in the box was another Tower of Terror item – this one a mug with our favorite Disney characters doing their “scared” faces from being on this ride. I could actually use some new mugs and this one is fun, and big – I really love big mugs. Perfect for the reason! In terms of treats, there were two large treat items in this box. One was pumpkin spice pretzels. I haven’t tried them yet but they look delicious! 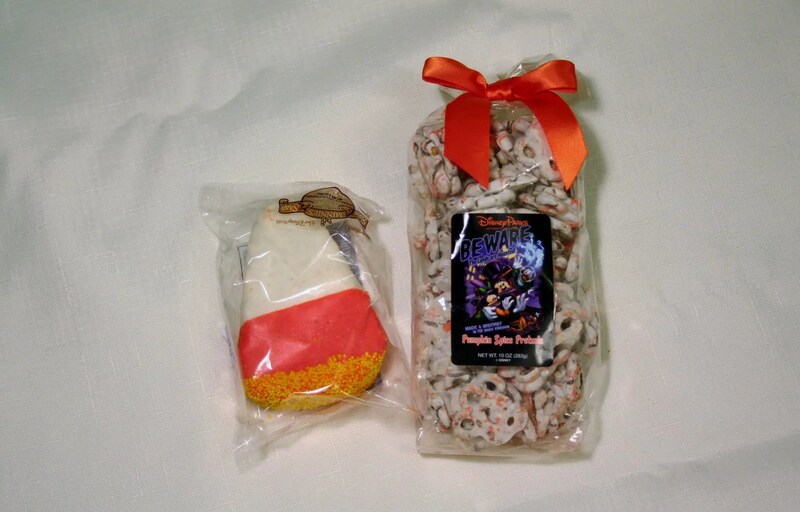 The second was a rice krispie treat that looks like a candy corn. 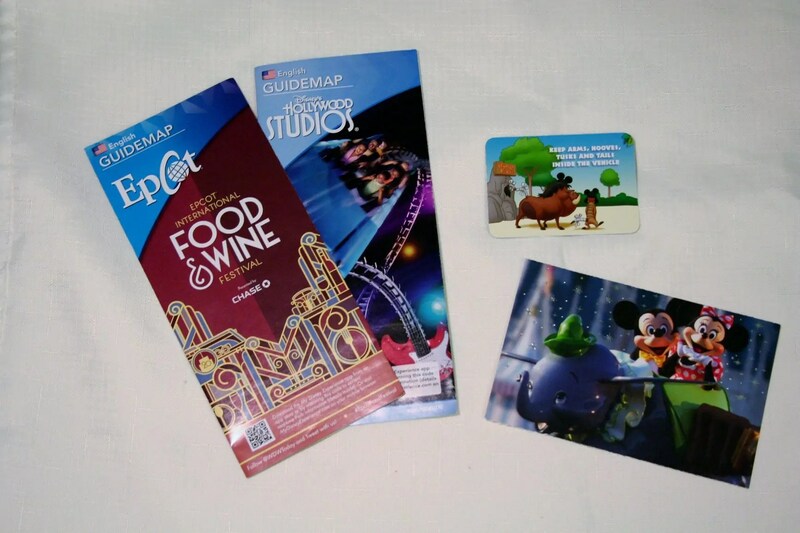 Also included was a couple of park maps (including one of Epcot so I could dream all about food and wine! ), and a postcard with a note on the back. I like this sort of personal touch. As with other Disney subscription boxes, you aren’t necessarily going to get the exact value in money of what you paid for it. That’s because the value comes in acquiring items that you wouldn’t normally be able to get at home. Disney doesn’t give stuff away like other subscription boxes. I think for what you pay you get a nice assortment of stuff with Disney in a Box, and it seems like a really well thought out and nicely themed one. The owners were very nice when I communicated with them, so I would recommend this one! Aww, that seems like a fun surprise to get in the mail! I had no idea Disney did this! I love Disney but that seems a little expensive… Some very cute items though! Yeah it’s definitely a little pricey, but that’s Disney stuff for you… a nice treat for every once in awhile! How fun! I had no idea Disney offered a subscription box! I love the mug! Yeah, it’s not actually officially offered through Disney – but still a lot of fun! I think I’d be a big fan of those treats. Disney has the best desserts! This is so cool!! I want one! It’s so exciting to see that box on the doorstep! I love the keychain, and the mug is really cool too. I love how it all had a theme. Looks like a really fun subscription! That is so fun! I’ve never even heard of this until now. Very cool! That mug!! Agh!! Love love love it! Such a great subscription box! SUPER cute box. Way pricey for us to do a monthly service, but cute! Yeah, I know I wouldn’t be able to afford it monthly. But once in awhile it’s a fun treat! I AM OBSESSED WITH THAT MUG. I know!! I can’t wait to make some tea or coffee and use it! This is so neat! I had no idea this even existed haha I’ve done a few different box subscriptions and none of them are nearly that pricey, though. That’s a lot of money. But it’s such a cute idea! After seeing this I wondered what hole I’ve been hiding in. 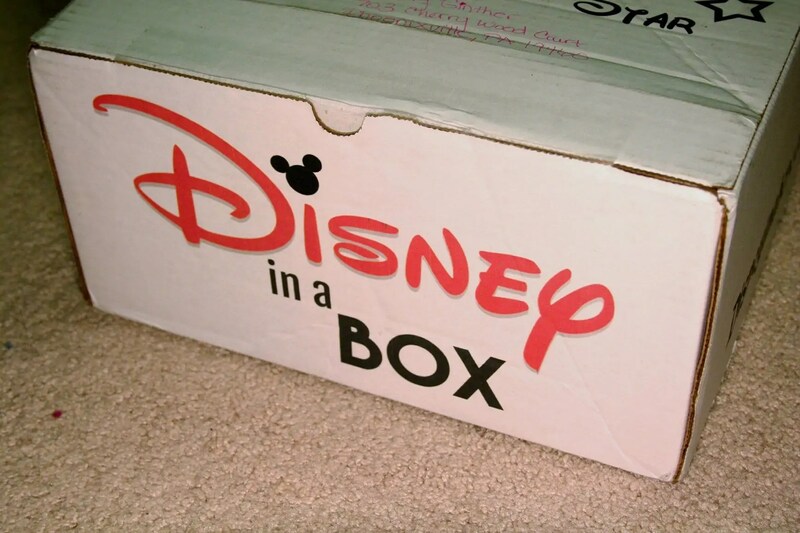 I absolutely love Disney and this would be a very fun box to get in the mail instead of bills and advertisements. I actually look forward to getting the mail now when I know I’m subscribed to a couple of boxes! Me too, getting Disney surprises in the mail is the best!